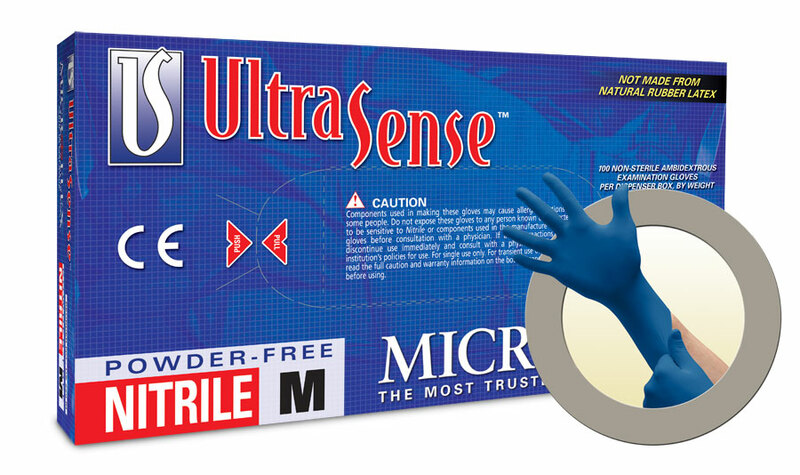 Microflex UltraSense Powder Free Nitrile Exam Grade Gloves are suggested for use when handling small instruments where fit and feel are imperative. When performing repetitve hand movements on a daily basis, these UltraSense nitrile gloves will keep your hands fatigue-free while offering excellent gripping power. The non-stick materials within UltraSense gloves will keep you clear of adhesives while providing a precise grip in both wet and dry conditions.